Rajasthan Pre Veterinary Test (RPVT) is conducted every year by the Rajasthan University of Veterinary and Animal Sciences, Bikaner for admission in various veterinary institutes in Rajasthan. The admission to 85% seats will be done via the RPVT 2017 exam and the rest will be filled by All India Candidates via the AIPVT 2017 Exam. Rajasthan RVPT 2017 Examination will be held in the month of June 2017. Stay Updated and Check Latest RPVT 2017 Admission Notification, Entrance Exam Details , RPVT 2017 Admit Card Syllabus Details Below. Online applications are invited from eligible candidates of Rajasthan domicile only for appearing in Rajasthan Pre-Veterinary Test-2017 for admission to B.V.Sc. & A.H. Degree Course (Session 2017-18) in the competent authority permitted constituent and affiliated private veterinary colleges of RAJUVAS, Bikaner. 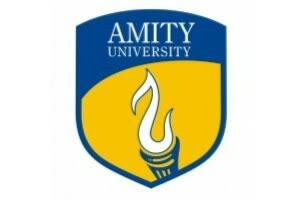 The names of such college(s) and number of available seats in it (them) along with their category wise distribution will be notified at the time of admissions allotment counselling rounds. The application form other than by online mode will not be accepted in any case. Online applications are invited from eligible candidates of Rajasthan domicile only for appearing in Rajasthan Pre-Veterinary Test-2017 for admission to B.V.Sc. & A.H. Degree Course (Session 2017) in the constituent colleges of the university namely College of Veterinary and Animal Science, Bikaner and College of Veterinary and Animal Science, Navania, Vallabhnagar, Udaipur. Candidate must have passed the Senior Secondary examination or theIndian School Certificate Examination, which is equivalent to 10+2 after a period of 12 years study, the last 2 years of study must comprise of Physics, Chemistry, Biology with English as compulsory subject. Further the General category candidate should have obtained a minimum of 50% marks in aggregate in the subjects of Physics, Chemistry, Biology and English at Senior Secondary (10+2) or equivalent recognized examination. For the candidates belonging to the SC, ST, ST-TADA, Noncreamy layer OBC and Non-creamy layer SBC categories of Rajasthan State, the aggregate marks requirement is 40% instead of 50% in the aforesaid subjects. 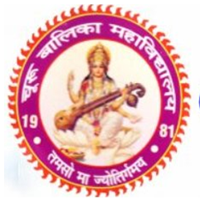 The candidate who is taking up the qualifying examination (as mentioned above) prior to the RPVT-2013 and whose result has not been declared by the last date of submission of application form, may also apply and take up the said test but he/she shall not be eligible for admission to B.V.Sc. & A.H course programme if he/she does not passes the qualifying examination with the required pass percentage of marks, as mentioned for qualifying examination requirement, at the time of admission to the B.V.Sc. & A.H course programme. Thus, the proof of passing the qualifying examination with desired percentage of marks will have to submit essentially by the candidate at time ofcounselling. 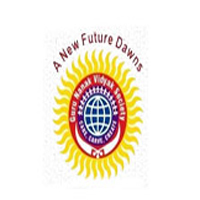 The candidate has studied for the last three years of qualifying examination continuously as a regular candidate in recognized institution in Rajasthan. Natural father/mother of the candidate has continuously resided in Rajasthan for period of last 10 years and the candidate has studied for at least 5 years during this period in a recognized educational institution in Rajasthan. All those student who are bonafide residents of Rajasthan but are studying in other states. The candidate is son /daughter of serving or retired (i) Employee of Government of Rajasthan (ii) Officer of All India Services borne on State Cadres of Rajasthan and has served for more than three years with State Government. The candidate is son/daughter of serving/retired, permanent employee of Govt. Undertaking/Corporation/ImprovementTrust/MunicipalBodies/Council/Panchayat Samiti/ Co-operative bodies, duly constituted by the Government of Rajasthan by an act of Law who has put in at least three years of service on the last date of submission of application in the year of admission. 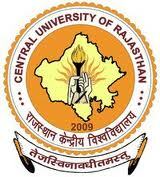 The candidate is son/daughter of serving/retired, permanent employee of any of the University of Rajasthan(excluding private Universities) or Secondary Board of Education (Rajasthan) provided that employee has worked in Rajasthan for three years preceding the last date of submission of the application. Candidate is a natural son/daughter of a serving/retired permanent employee of Indian Defence and the employee is of Rajasthan origin irrespective of his place of posting provided that in case of Defence Personal from Rajasthan origin, a certificate has to be submitted by them from the employee to the effect that his state of origin is Rajasthan at the time of his entry into service. Candidate is a natural son/daughter of serving permanent employee of Indian Defence and the employee is posted in Rajasthan at the time of last date of the application for admission. The candidate is son/daughter of serving/retired person of Para-Military Force of India and the employee is of Rajasthan origin, irrespective of his place of posting. Provided that in case of Para-Military personal from the Rajasthan origin a certificate has to be submitted by them from the employer to the effect that his state of origin is Rajasthan at the time of his entry into service. Candidate is a son/daughter of serving person of Para-Military Forces of India and the employee is posted in Rajasthan at the time of the last date of the application for admission. Candidate is a son/daughter of a judge of Rajasthan High Court subject to the condition that he/she submits an undertaking/affidavit stating that such benefit is not being claimed or availed by them in any other state. Regular seats – 60 at Bikaner and 50 at Navania . Sri Ganganagar Veterinary College, Near RIICO colony, Sri Ganganagar. In each Affiliated College, 30 seats are regular seats and 30 seats are management seats. 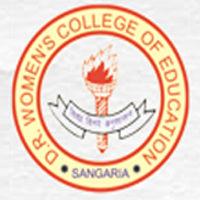 The fees structure is to be notified and announced by the respective affiliated college. RPVT 2017 Application Form filling instructions will be available on the website www.rajuvas.org and must be read and obeyed carefully. The Rajasthan Pre Veterinary Test (RPVT) is of 3 hours duration and will have one paper consisting of 200 objective type (multiple choice and reason-assertion type) questions from Physics, Chemistry and Biology as in that of the class 11th and 12th syllabus under the science stream of University or state or central board of Examination. My overall rpvt rank 207 & general catcategory ranking 84. I want to know that can I get govt college. Another than what is the fee of payment seat. My overall rank 523 nd OBC rank 515. Koi college mil skri he kya? Plz tell me. My overall rank 523 nd catagory rank 515. My overall rank in rpvt2015 is 268and category rank in general is 188 .Can I get. Admission in govt. CoIlege. Please also inform me about recognised private Veterinary college . Sir my rpvt rank 194 please can i get admission in gov. College …. sir my rpvt rank is 383 overall category nd general category rank 213 h..there’s any chance 2 get govt college.?? I got 334 overall rank what’s their any chances of govt. Seat? my overall rank is 414 and category rank is 237 so can I get govt. vetenary college and what is the process of counselling plzz tell me. sir rpvt me gov.funded seats kitni h or meri over all ranking 322 h to mouje collage konsa mil skta hai. uski fee ktni h? or mangement seat ki fee kitni h? I want to know date of the notification Diploma vatenary….the last date of fill form…. Pl let us know the notification of RPVT schedule exam date, so the candidates can do their reservation those who are studying out of the state and domicile of Rajasthan. It will be very difficult to travel without reservation in train since the train reservation are being done 60 days in advance. Pl look into this matter, atleast exam date can be declared so we can do the train reservation on time. thanks.